Mocambo madness hot tropical nights begin as Alika slinks into the club in a halter neck 50’s inspired beauty. She wants to be good but she was born bad !! 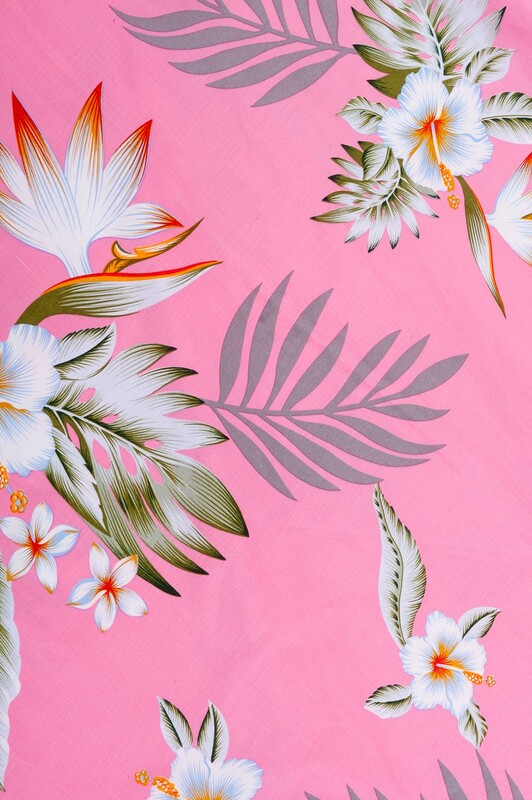 Tropical print cotton sateen, stunning Hawaiian flowers and leaves. This dress is simply divine. Available in Black, Red, Yellow, Pink. Accessories not included.ALL SALE ITEMS ARE FINAL NO EXCHANGE OR RETURN ON SALE PLEASE CHOOSE CAREFULLY. Please note the petticoat is not included. Long black or long white petticoats are available for purchase separately. 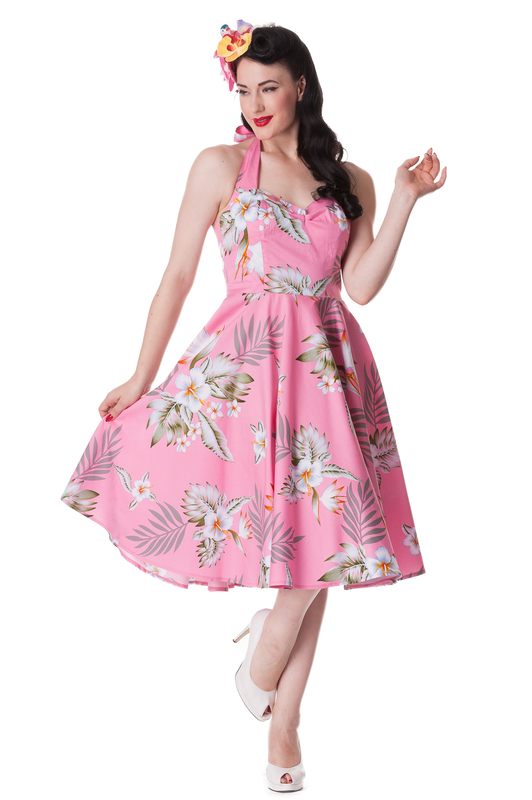 Mocambo Madness Hot Tropical Nights Begin As Alika Slinks In ..
DOLLY - PINK Rockabilly Handbag In Pink. This Beautiful Pinu ..
Long Petticoat White Our Petticoats Are Designed To Enhance ..
Alika Dress Mocambo Madness Hot Tropical Nights Begin As ..